Fall is coming and our hours have shifted again Noon-8PM most days, some family emergencies have come up recently and we are not always able to get to the phone on time. Please leave a message and we will call you back within 24 hours! Feel free to call on the cell or e-mail if you are trying to reach us after hours. At Ten-X, I was involved in a number of interesting projects, from the TX-40 40mm reloading system, to the TX-12, a single shot 12ga shotgun designed to mount under the barrel of an AR-15/M4/M16 rifle (both of which I was the principle designer of). As a company, we still work closely with Ten-X Ammunition, providing design and development services for 40mm ammunition. 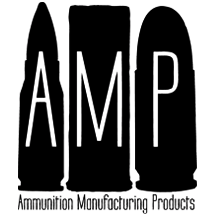 Over time my business model has changed significantly, and for the moment at least, my efforts are centering more around product development and process engineering for the firearms field. In the near future I would like to return to machine design, however this is an activity there is minimal demand for compared to the other services I offer. If you have any questions, comments, or projects, please don't hesitate to contact us.